And you’ll also get some non traditional business advice on this episode. Theresa Fette is no stranger to the entrepreneurial world. Through the years of building her business she’s taken some non traditional routes to getting where she wanted to go. 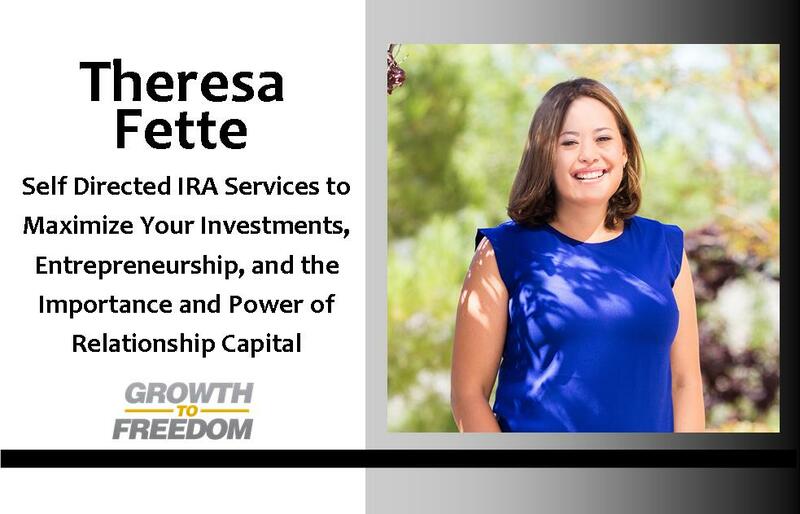 In addition to talking about IRA services, you will learn the importance of relationship capital, entrepreneurship, Theresa’s lessons-learned on her entrepreneurial journey, and much more.